A decade ago, I never intended to go so long without playing video games. I had dozens of PS2 games and had spent hundreds if not thousands of hours playing them. My favorite genre was Japanese RPGs and games like Final Fantasy X/X-2, Xenosaga, Dark Cloud 2, and Dragon Quest VIII probably helped my get ready to enjoy anime when I would discover anime during this time period. Looking back, it was a combination of my burgeoning interest in anime/manga with a poor start to the PS3 that caused the initial break and that was further solidified when I started this anime blog. It also didn’t help that the only video games that seemed to get made and talked about were shooter games which was a genre that I wasn’t interested in. Then, somewhere along the way, the idea of getting back into video games just fell by the wayside. And that likely would have been how things stayed if two specific wires didn’t get crossed before the most recent Christmas. Call me optimistic. I live far enough way from yesterday’s total solar eclipse that I decided I would just wait the seven years for the next one to happen over North America because that one will go almost right over my house. I wasn’t even planning on taking any pictures of the locally seen ~80% eclipsed sun because I don’t have any of the right equipment. 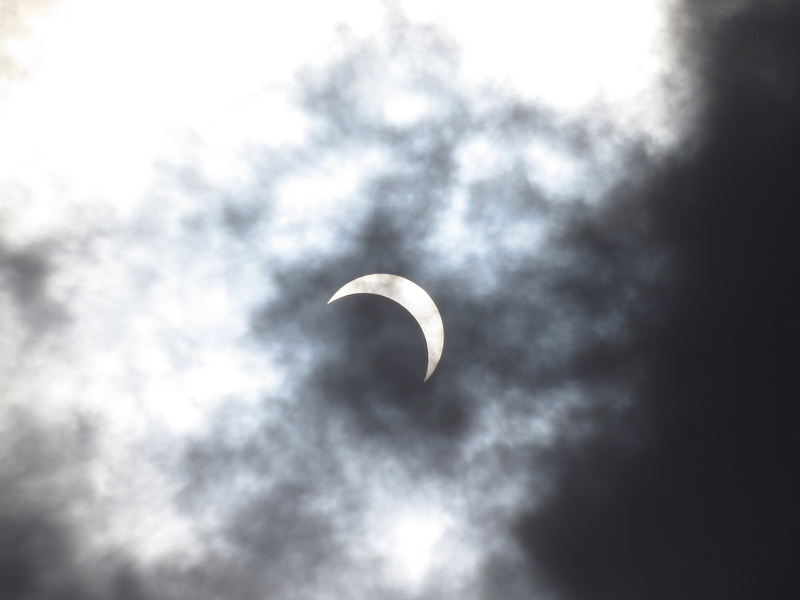 However, a few light bands of clouds showed up at the right time and I figured I could try to snap a few pictures without killing my eyes or my camera.